There will be roughly 10,000 baby boomers retiring every single day for the next 20 years or so. Entire industries and jobs are going to need to be created for the sole purpose of servicing this group. Healthcare comes to mind, but financial services will be in high demand as well, especially when you consider the number of advisors who are themselves baby boomers who will be retiring in the coming years. Should both spouses claim their benefits in the same year or stagger them? What if you’re still working? What age gives you the highest benefits? What happens in a widow(er) situation? What’s the breakeven if you wait to claim? What about divorced spousal benefits? 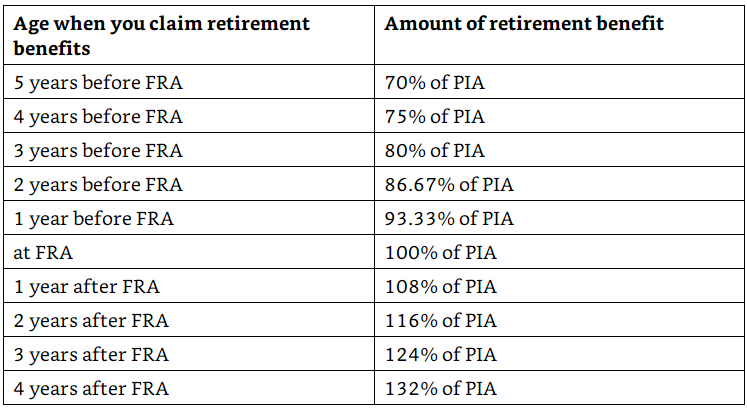 How does social security affect tax planning? There are a number of variations you could come up with for each individual or couple. Many retirees are going to have trouble figuring out their best course of action. Over 60% of Americans rely on Social Security to cover 50% or more of their retirement income needs. So if you do have the option to wait to claim your benefits, consider yourself blessed or well-prepared. Lots of people don’t have that option. Mike Piper, who blogs at The Oblivious Investor, has written a very helpful, accessible book called Social Security Made Simple that does an excellent job of explaining everything you need to know about how it all works and the factors you should consider when making this decision. 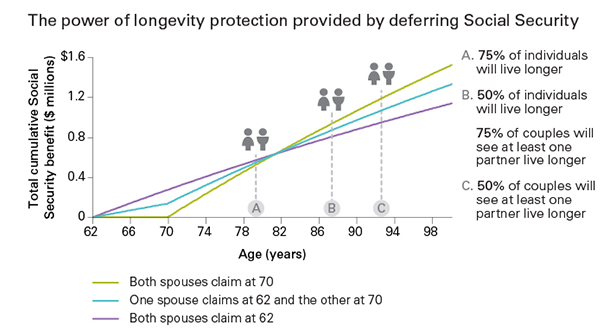 Age 66 is the point where you’ll receive 100% of your benefits, but waiting until age 70 to claim gives you a bump of over 30%. Claim at 62 and you take a 30% discount. Every year you wait corresponds to a roughly 7-8% annual return — not bad in a world of low interest rates. According to the Social Security Administration, the average total life expectancy for a 62-year-old female is 84.7. For a male, it’s 81.8.31 In other words, from a breakeven perspective, most unmarried retirees will be best served by waiting to take their retirement benefit. I always think it makes sense to keep your emotions out of financial decisions, but people don’t live their lives in a spreadsheet. The Social Security decision is one of those areas where you have to consider not only your ROI but also the opportunity cost of that capital. In retirement you always have to weigh the costs and benefits of your need for portfolio growth in the future and your desire to enjoy yourself — and your money — in the present.